Styled with kenny sweater and samuel blazer . 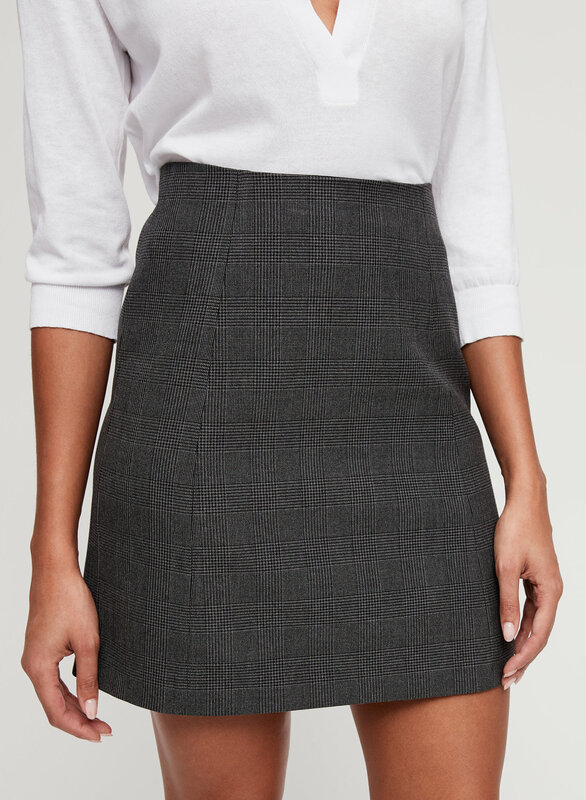 This is an A-line mini skirt. This version of the Hopper is made with a yarn-dyed fabric which means the plaid is woven into the design, rather than being printed onto the fabric. I bought the navy checkered skirt and love it! 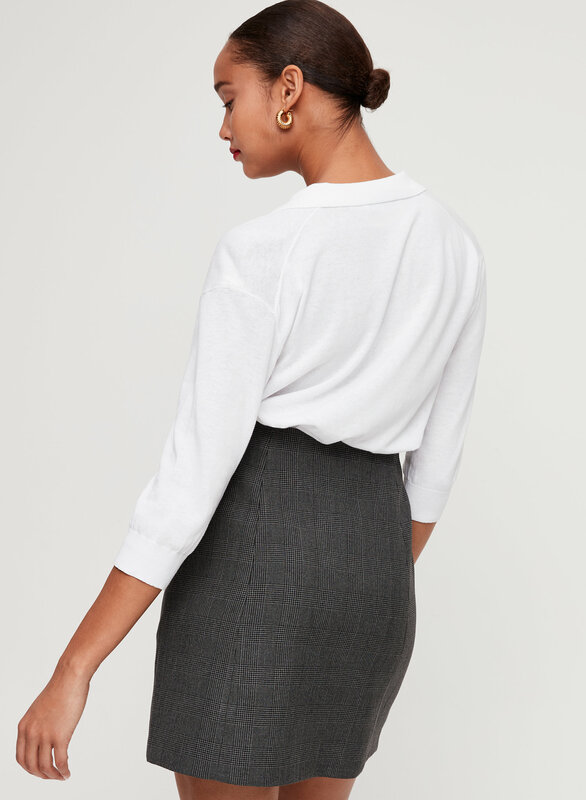 It’s the perfect length for looking put together but not frumpy. Love it. Wish it came in larger sizes. I usually wear 6 but need 10 in this style. I have this skirt in three prints and am considering more. The sizing is a bit inconsistent - I wear my usual size in one and had to go up in the other two because of the higher waist (I do not have a small waist - more straight up and down). The prints go with everything. 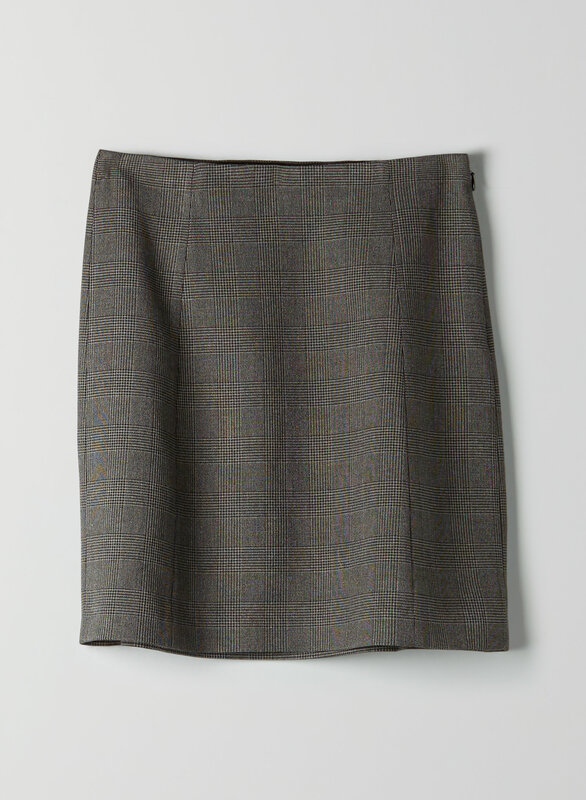 So easy to style, and the quality is better than the other skirts of this style Aritzia carries. Also great for tall people - I'm 5'-11" and it's the perfect length - short but not quite a mini. Perfect for work or going out. 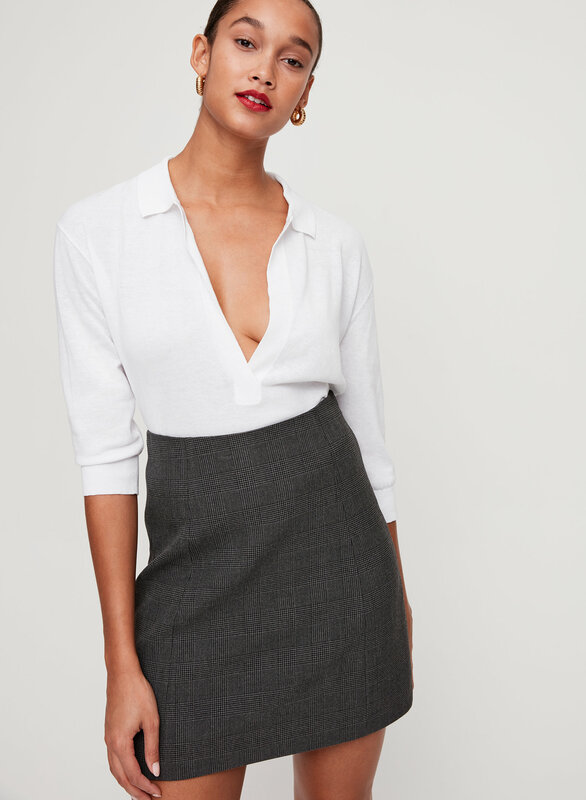 Perfect for work or casual! Probably should have ordered a size down since it’s high waisted and not overally form-fitting. But still super cute!